Astragalus, also known as huang qi, is best known as an immune stimulant. It helps prevent and treat arrhythmia. It also shows anti-viral effect. In one study people with serious viral infections show low levels of natural killer cells (NKC’s) in their bodies. NKC’s are special white blood cells that attack disease-causing microorganisms. 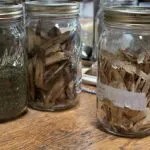 The study participants were given injections of astragalus extracts for four months. Compared with people who did not receive the extract, their NKC activity increased substantially, other components of their immune system perked up and their symptoms improved. Oral preparations have a similar effect. The use of astragalus is indicated for colds and flu, chronic respiratory problems, digestive ailments, susceptibility to infectious disease, general weakness, fatigue and cancer. The active constituents include polysaccharides (glucans) saponins, flavonoids and phytosterols, all of which contribute to the positive actions of astragalus. It increases the number of stem cells in bone marrow and lymph tissue and encourages their development into active immune cells. It appears to help trigger immune cells from a “resting” state into heightened activity. 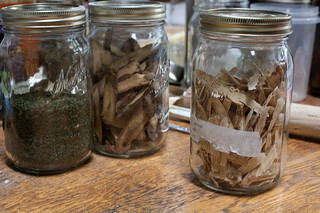 One study showed astragalus root helps promote and maintain respiratory health. It also enhances the body’s production of immunoglobulin and stimulates macrophages. Astragalus stimulated NK cell activity of human peripheral blood lymphocytes and restored steroid-inhibited NK cells activity in another study. OF NOTE: Raspberry Ketones are now available! ← WOW-Have Fun AND Earn Discounts!